According to Jazz FMTM, “If you get a chance to see James Tormé you should beg, borrow, even steal a ticket”. With just a single visit to one of James’ shows it’s easy to see why the multi-award winning singer is quickly becoming one of the most talked about artists on the planet. 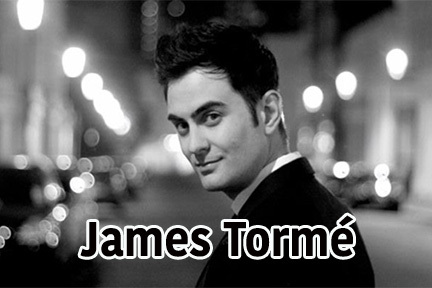 James Tormé (who is the son of 3-time Grammy Award Winning jazz legend Mel Tormé) is taking the legacy he was born into even further – and causing a serious buzz in the process. Often appearing with outfits like the BBC Concert Orchestra, Ronnie Scott’s Orchestra and Les Paul Trio, the charismatic young star’s debut album has topped both the iTunes and Amazon Jazz Charts*.